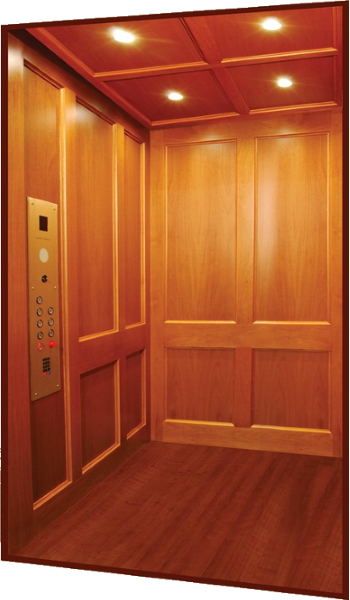 Discover that customizing your elevator can only be limited by your imagination! Walls: Windsor Mahogany Laminate with hardwood trim. Handrails: 2” x 3/8” brushed satin stainless steel bar with ends returned towards walls. Ceiling: Windsor Mahogany Laminate with hardwood trim with (4) Eyebeam-SC LED Downlights and black trim rings.